Founded nearly 100 years ago, the Marion County Public Library’s small staff still manages to leave a massive footprint in their community. Located in Lebanon, Kentucky, MCPL is a single branch system that serves approximately 20,000 residents, many living far outside of town. MCPL offers all-ages programming, a frequently updated collection, and genealogy resources but like many modern libraries, they struggled with engaging patrons. “No matter how much signage we put up, no matter how many posts we put up on Facebook that people were telling us that they weren’t aware of programs that were going on at the library,” Terry Brockman, Marion County Public Library’s Community Connector told Cerkl. They needed something simple, digital and low cost. They found Cerkl. The staff uses their Cerkl Content Archive to post news, notes, lists, and events. Cerkl’s A.I. content delivery system personalizes a newsletter for each patron, keeping everyone informed with the library news that is relevant to them. “We couldn’t be happier with how people are engaged with the library,” Terry shared. Now Terry and other library staffers are able to easily communicate with patrons. The community is loving the engagement, “Our circulation numbers are increasing, and that’s a direct result of Cerkl,” Terry said. The library’s increased engagement couldn’t have come at a better time. 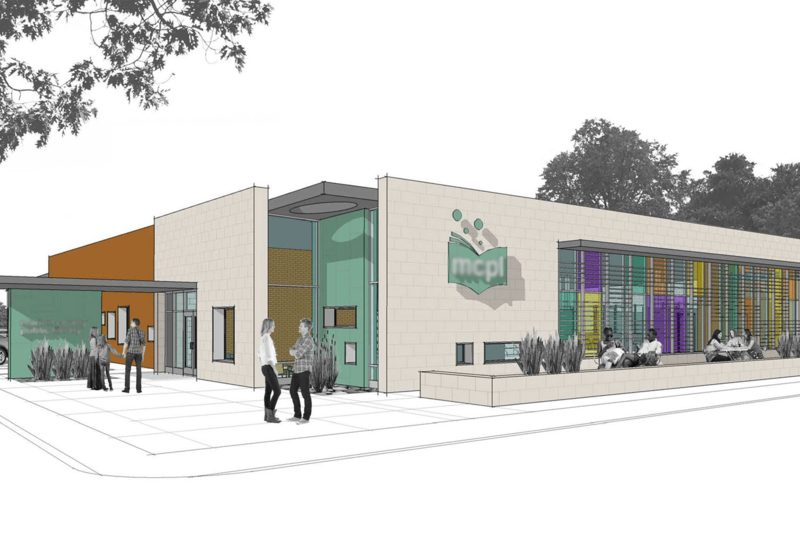 MCPL recently received a $3 million grant to re-do the library’s only branch. They will be expanding by nearly 7,000 square feet and adding exciting new features like a MakerSpace, a larger meeting room, and a dedicated programming area. The library has moved to a temporary location during the construction. They are using Cerkl to keep their patrons updated on the progress.